At a dinner party in Hollywood this weekend, for once the talk was not about Trump. Instead it was about the pervasive anxiety within the entertainment industry over the prevailing rules for conduct. Since Harvey Weinstein and the #MeToo movement last year, executives at all levels have been telling me that they don’t know where the lines are anymore. That they’re afraid to hire women, especially attractive women, for fear of perceived misconduct. That everyone is now subject to sensitivity training – sure, why not – but that there are still plenty of people who have misbehaved and not paid any price. The new rules? No hugging, even when someone is upset. No touching, that’s pretty much always over the line. And be careful of objectionable language when assistants are listening in on business calls. One executive told me he was chided by the Human Resources department of his company when he told his assistant to stop crying after he criticized her for a mistake. “You’re not allowed to tell an assistant not to cry in the office?” he recounted, dumbfounded. The sudden firing of Paramount TV chief Amy Powell on Thursday particularly rankled. Powell, two people pointed out, was publicly pilloried by Paramount CEO Jim Gianopulos for allegedly making reference to a tweet by African-America showrunner Tracy Oliver, remarking about anger specific to black women while on a conference call discussing the tweet. Powell has denied the comment. But after more than a decade at Paramount, she may never work in the entertainment industry again. Who will hire someone labeled a racist? The CEO of an independent film company was incensed by that incident, in addition to Disney’s firing of James Gunn over past tweets, and Netflix CEO Reed Hastings publicly disavowing the “unacceptably low racial awareness” of the company’s chief comms officer Jonathan Friedland, who was fired in June. The firings virtually guarantee these people will not work again, he said. 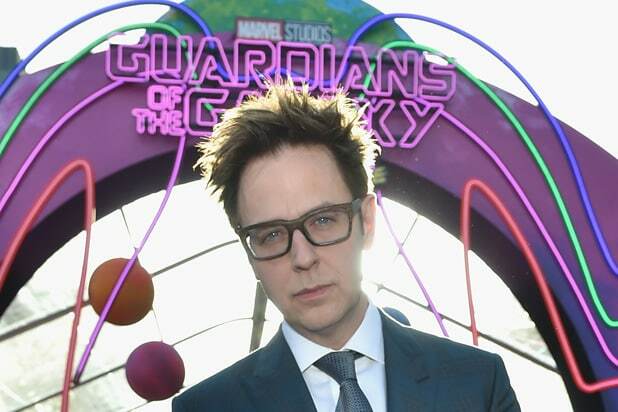 Gunn’s future is unclear, and the solution for companies like Disney isn’t simple. It certainly seems that a new standard is being applied not just to conduct but to speech, and that both creatives and executives can now find their careers wiped out in the space of a tweet, or a careless aside. Are the current expectations unrealistic in the course of human interaction?